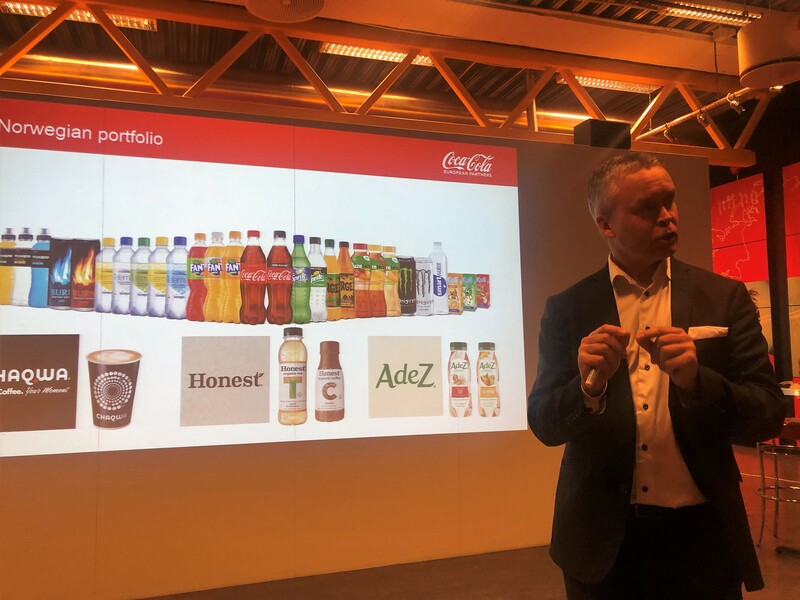 AmCham completed a rewarding third year of our popular Mentorship Program, with Stein Rømmerud, VP & Country Manager at Coca-Cola European Partners Norge, hosting the session and providing an exclusive tour of the beverage giant’s Norway headquarters. Initiated in May 2018, this edition included mentor directors and their respective mentee colleagues from 3M, AIG, AmCham, Bristol-Myers Squibb, British American Tobacco, Citi, Gambit H+K, IBM, Janssen-Cilag, KPMG, MSD, Philip Morris, Radisson Hotel Group, Roche and the US Embassy. All participants were paired across industries, based on interests and goals, to facilitate leadership dialogue, share best practices, and learn from one other through AmCham’s set nine-month curriculum. Ranked as the fifth strongest brand in the world and present in 206 global markets, Coca-Cola has remained a relevant and dominant actor since its establishment in 1886. More than 1,9 billion units of their products are consumed globally each day. 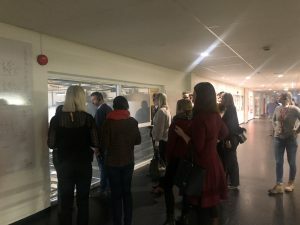 The key to this success, according to Rømmerud, is to understand trends, invest heavily in R&D and diversify country portfolios to meet changing consumer needs. Since the launch of Diet Coke in 1982, the company has continued to diversify their portfolio to include juices, coffee, water, energy drinks and, most recently, to include organic products, such Honest Organic Iced Tea. “The volume of niche products is expanding, and Coca-Cola must embrace this and be a part of the change. Last year, Coca-Cola launched 24 new products, and this year, we are launching 30,” Rømmerud said. 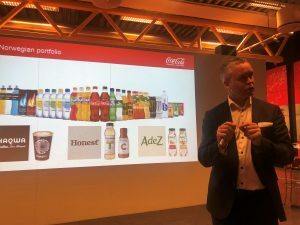 Highlighting Coca-Cola’s efforts to reduce their carbon footprint, Rømmerud noted that the Norwegian market is unique, with well-developed and advanced bottle deposit systems. Coca-Cola anticipates that such systems will evolve in other countries. To be a part of the solution, Coca-Cola continuously strives to make their packaging more environmentally sustainable by reducing the volume of plastic. Further, Coca-Cola Norway has invested in modernizing their logistical operations by switching to electric vehicles to reduce their carbon footprint. To further leverage our unique network of internationally-oriented executive leaders, AmCham is now planning the next edition of our Mentorship Program. The 2019-20 program is open for all AmCham Patron-level members. Please contact Katja Dahl Murphy (kdm@amcham.no) for additional information and registration. 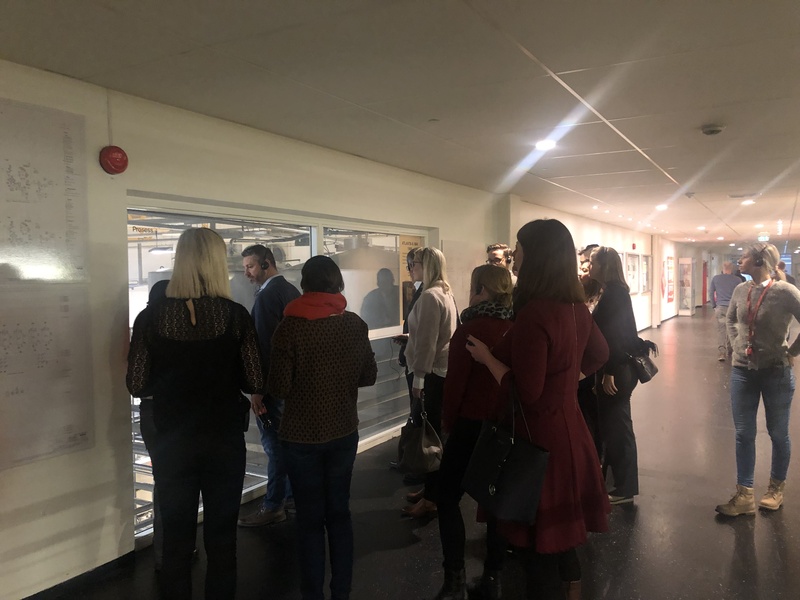 AmCham Mentorship participants enjoying the tour of Coca-Cola’s facilities.